Those involved in the automotive industry can utilize incentives to achieve a wide array of objectives. Incentives can be valuable no matter what segment you operate in and no matter who your target audience is. In this blog, we will focus on automotive manufacturers and how they can engage their consumers by offering various cash and non-cash incentives. Automotive manufacturers looking to increase sales of new vehicles and strengthen existing customer loyalty should look to three distinct incentive program solutions. As an auto manufacturer, the word “incentives” probably means cash back to the customer. Administration is typically most efficient and effective on a prepaid debit card. These cards empower the customer by giving them the freedom to spend their money as they choose. While cash is helpful in moving inventory and adjusting price levels, non-cash incentives such as merchandise, travel incentives or gift cards are more powerful in sweetening a deal when cash is not enough. By utilizing corporate discounts based on quantity, these incentives can offer a higher perceived value to the recipient while being very low in actual cost to the company. Procuring hundreds or thousands of a particular item will allow your cost per item to come in well under the retail price the consumer would otherwise pay. Although offering a gift may be appealing to some, it is important to offer a “cash out” option that equals the promotional value of the non-cash items to accommodate those who need the extra cash in-hand to make a down payment and ultimately close the deal. Although most manufacturers feel that cash is the most effective way to sell cars in the short-term, merchandise and travel can be interesting after-purchase gift options to increase the loyalty of your customers in the long-run. Getting caught up in the pressure to sell today and ignore long-term loyalty is understandable, but not wise. Carefully selected merchandise will allow you to target a very specific demographic of consumers based on their interests and needs. Incentive travel for your most loyal customers can deliver priceless, memorable experiences that are impossible to replicate. Automobile manufacturers that prioritize customer loyalty are already starting to understand that non-cash incentives are crucial. The following are some rather positive statistics compiled by Incentive Performance Center about these Gift After Purchase/Customer Loyalty Incentives programs. Loyal customers are great brand advocates. They possess lower selling costs, increased profitability over time and tend to be more willing to pay higher prices for your product. The lifetime value of a loyal customer is truly astounding. There is a direct correlation between the number of test drives taken and the number of vehicle sales. This has been tested in many studies and is widely accepted in the automotive industry. Offering non-cash incentives that directly appeal to your target market is the most effective way to ensure that your budget is being allocated to the appropriate audience. 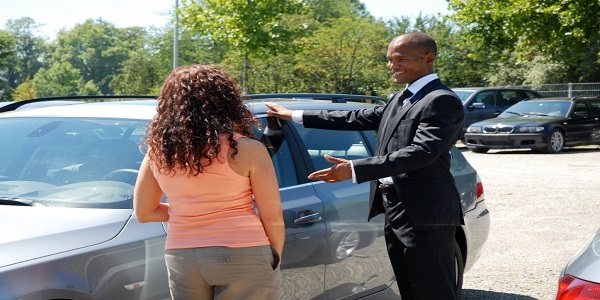 The incentives should be attractive enough so that your focused demographic is intrigued, but carefully targeted to avoid accommodating a mass number of unqualified individuals that come in to the dealership and waste the time of the personnel with no true interest in making a purchase. Incentives given in exchange for test drives are an essential component of efforts to effective sales strategies. As an automotive manufacturer, a fundamental understanding of incentives is paramount. A failure to grasp or deliver incentives successfully simply represents a lost opportunity to achieve greater profitability. While this blog specifically discusses how automotive manufacturers target consumers, future blogs will examine how other automotive audiences can benefit from these programs. If you’d like to explore this topic further, please read the full study compiled by Incentive Performance Center here, explore how we deliver incentive programs here or send me an email at khewkin@jnrcorp.com so that I can provide you more detailed information on any of the topics covered in this post.